2018 Trick or Trot 5K Walk/Run – Registration OPEN! Home > GSAFE Updates> Break the Silence at Teen Pride Arts 2017! 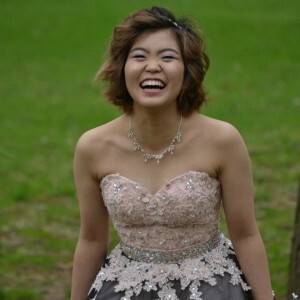 Break the Silence at Teen Pride Arts 2017! Teen Pride Arts, the annual collaboration between the ArtWrite Collective and GSAFE, is scheduled for the end of the day on Friday, April 21st, which aligns with the national Day of Silence. 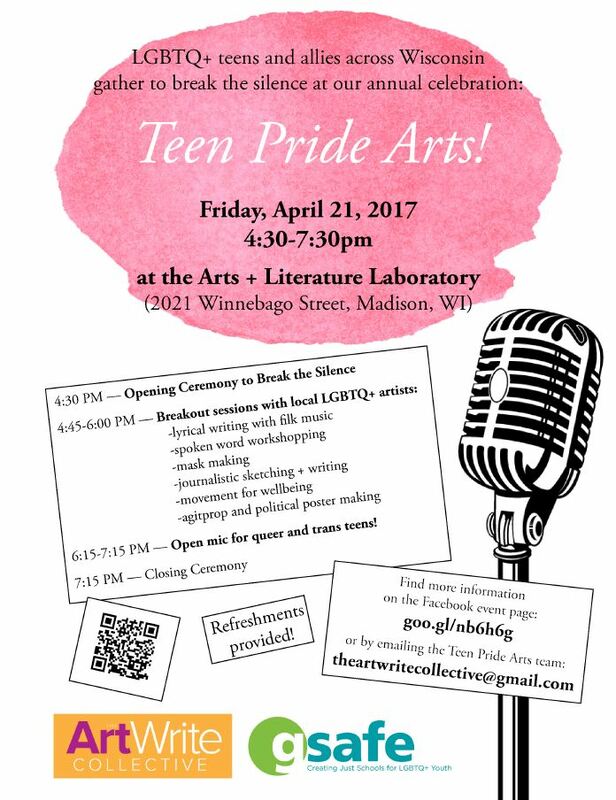 LGBTQ+ teens and allies across Wisconsin are encouraged to gather to break the silence at the Arts + Literature Laboratory at 2021 Winnebago Street in Madison. Find our more by visiting the event Facebook page or by emailing the Teen Pride Arts team. Hope to see you there!